If you are experiencing problems accessing OneDrive online, you can see the status of Microsoft Office Online Services at the Service Health portal. We are aware that some customers using macOS 10.14 have issues with Finder and OneDrive sync status icons. Sync status icons not showing in the Finder each time you log in to your Mac. Finder constantly re-opens, even if minimized. This issue is fixed in version 10.14.4 of macOS Mojave. Press and hold the Alt/Option key. Right-click on the Finder icon. Tip: If your mouse, trackpad, or other input device doesn't include a right-click button or other way to perform a right-click, hold down the Control key on your keyboard while you click. For more information, go to Apple support. When you try to move a folder from your OneDrive folder to another non-OneDrive folder, you may receive an error: "The action can't be completed because the file is open in Microsoft OneDrive." The error is caused by a file named .849C9593-D756-4E56-8D6E-42412F2A707B but you aren't able to move, delete or rename the file. 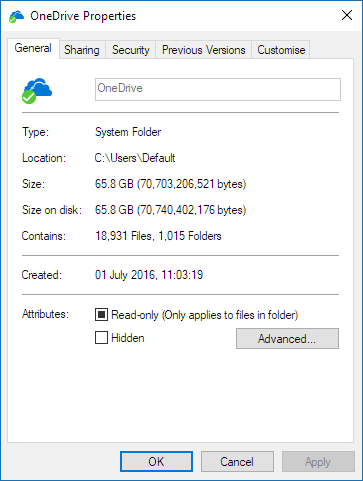 Close OneDrive by right-clicking the OneDrive cloud icon in the system tray and select Close OneDrive. Open Windows File Explorer and ensure that View > Hidden Files is checked. Navigate to your main OneDrive folder and delete the file named .849C9593-D756-4E56-8D6E-42412F2A707B. Uncheck View > Hidden Files if required. Restart OneDrive by going to Start and search for OneDrive, and open the application. If you are trying to delete lots of files using OneDrive for iOS or Android, you can only delete 200 items at a time. If you try to delete more than 200, the Delete button may become inactive or be "grayed out", or you may receive a "Sorry, there was a problem" error message. Select fewer than 200 items to delete at a time. Some customers have reported that GIFs are displaying upside-down in OneDrive for iOS. We are aware of the issue, and a fix is on its way. We are aware of an issue with the OneDrive app not starting for some Mac users, with the error message "OneDrive quit unexpectedly". Update your macOS to Mojave 10.14. For more information on how to update, visit Apple Support. Download and install the latest version of OneDrive for Mac from the Mac App Store. Note: If you have a standalone installation of OneDrive, you can use this link to download and install the update. Some images may appear to be cropped or altered automatically. This is because the Office Lens feature has detected the image to be from a whiteboard, menu or anything else with a lot of text and automatically made a more readable copy. Select the image which has been cropped or altered. Read more about Using Office Lens to adjust images in OneDrive. After enabling Files on Demand in OneDrive, some customers may see the following error when trying to access items in your OneDrive folder. OneDrive cannot connect to Windows. Files On-Demand requires a connection to Windows in order to show your files without taking up space on this device. OneDrive can keep trying to connect to Windows or you can choose to download all your files. You won't be able to use online-only files until this is fixed. Read more about how to resolve the error when accessing files in OneDrive. This is caused by a group policy preventing the the feature from running. Use gpedit.exe, modify a Group Policy. Navigate to User Configuration > Administrative Templates > Desktop > Prohibit User from manually redirecting Profile Folders. It is possible your company’s administrators do not want you to configure this feature if the Group Policy is enabled. Your administrator may also elect to continue to enforce the policy even if you manually override it. Read more about how to Sync your Documents, Pictures, and Desktop folders with OneDrive. When files are uploaded via the OneDrive.com website, the dates shown may be the uploaded time and date, and not the expected file date. If photos seem to be in the wrong time zone, that is because there's no time zone information in image EXIF metadata. OneDrive will always displays the time stamp of the "Date Taken" field in UTC. Video files do contain timezone data, so should display the correct time. Learn more about OneDrive Files On-Demand. The OneDrive Auto Save settings now include your Desktop. You can show either your PC's Desktop, or your Desktop folder in OneDrive. In new installations of Windows 10 for many eligible users, the default setting is to save files to OneDrive, rather than to your PC. To learn how to change your OneDrive Auto-save settings, read Files save to OneDrive by default in Windows 10. OneDrive will automatically pause when a Windows PC enters battery saver mode. Learn more about How to Pause and Resume sync in OneDrive. 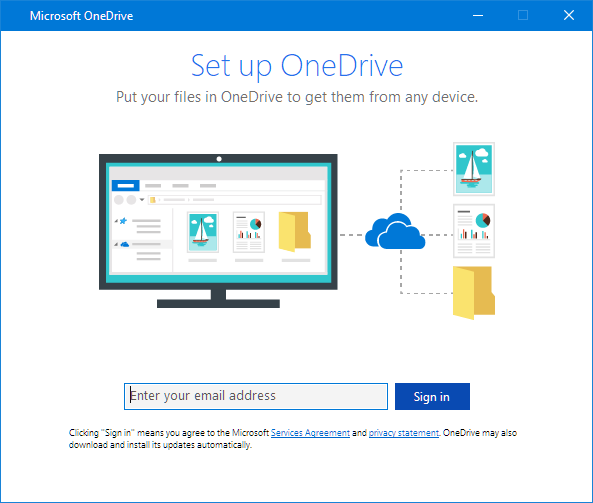 For more information, read how to Fix problems uploading files on the OneDrive website. The file or folder already exists on OneDrive [WORKAROUNDS]. After deselecting a folder from the list of folders you choose to sync, you may see an error: "The file or folder already exists on OneDrive." Option 1: Delete it from the PC. Note: It’s safe to delete it because it’s still available in OneDrive online. If you don’t want to have the folder in OneDrive and only have the folder on your PC, move the folder out of the PC’s OneDrive folder (see option 2). Option 2: Remove the file or folder from OneDrive. Note: With the file included in selective sync, move the folder to another place outside the OneDrive folder structure. This will delete the files and folder from OneDrive.com and make them only available on your PC. Tip: When you sign in to Windows after OneDrive has been updated, Windows Explorer will exit and restart. For more information, read Why does OneDrive restart Windows Explorer? Windows 10 users who have Files On Demand enabled may see "processing changes" if an Online file is open. Files marked as "Always available" files open won't cause this. Learn about OneDrive Files On-Demand. Read more about when OneDrive is stuck on “Processing changes". When sending an email from Outlook.com, you're unable to attach a OneDrive file to the email message. ﻿You are unable to sign in to OneDrive and the "You're syncing a different account" error appears. This may occur after you have changed your Microsoft Account password. Select Start, type "credentials," and then select Credentials Manager. Select the Windows Credentials tab. Under Generic Credentials, look for any entries containing “ OneDrive Cached Credentials” and remove them. ﻿From Spotlight search type “keychain” and select " Keychain Access”. If it's not visible in Spotlight, go to the Utilities folder and open Keychain Access from there. Note: You won't lose files or data by disabling or uninstalling OneDrive on your computer. You can always access your files by signing in to OneDrive.com. Make sure that the file you want to sync isn't larger than 15GB if you're signed in with a Microsoft account, or 15GB if you're signed in with a work or school account. Try reducing the size of the file by zipping it. Tip: For transferring large files or lots of files, we recommend adding the files to the OneDrive desktop app rather than using the Upload button on the website. You might have saved the files to a location you didn't intend to, or moved the files by mistake. Go to the OneDrive website and use the Search everything box in the upper-left corner. Save the file with a new or unique filename. Stop and restart your syncing. Learn How to Pause and Resume sync in OneDrive. Read more on how to fix OneDrive sync problems, how to fix problems uploading files, or what to do if you're over your OneDrive storage limit. Make sure you're signed in with the correct Microsoft account. Read more on how to find lost or missing files in OneDrive or how to fix problems uploading files. Follow these hints and tips to get the most out of your OneDrive and to make sync as trouble-free as possible. OneDrive and Windows are frequently updated and keeping your PC up-to-date can help sync problems. Download the latest Windows updates to get the most out of OneDrive. The Windows 10 Fall Creators Update enables OneDrive Files On Demand which can help resolve sync problems. Learn more about OneDrive Files On-Demand. When OneDrive Setup starts, enter your Microsoft account email address, and then select Sign in to set up your account. You can also download or sync fewer files by choosing which OneDrive folders to sync to your computer. Note: You won't lose files or data by disabling, uninstalling or unlinking OneDrive on your computer. You can always access your files by signing in to your OneDrive account online. If OneDrive sync seems to be stuck for a long time or the status shows "Processing 0KB of xMB" it could be because you have a lot of files in your OneDrive or a lot of new files to be uploaded. If you have more than 100,000 files, sync can take a long time. Select either 2, 8 or 24 hours. You can mark files as "offline" in OneDrive on your mobile device to read them anytime, even when you aren't connected to the Internet. Online edits made to the files sync the next time you connect to the Web, so you get the latest version of the file. Note: Files marked offline are read-only - you can edit the file only when you're online. 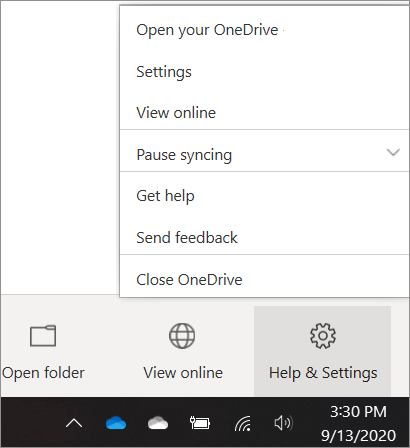 If you edit the file offline, it saves as a new file, and does not change the original OneDrive file. Learn how to Read files offline in OneDrive for Android or Read files offline in OneDrive for iOS. Learn what the OneDrive error codes mean. For information on the latest version of OneDrive, read the OneDrive release notes.